In a strong message to Pakistan, the RSS, the ideological mentor of the ruling Bharatiya Janata Party (BJP), has asserted that the whole of undivided Kashmir, including Mirpur, Muzaffarabad and Gilgit-Baltistan, belongs to India and warned Islamabad against encouraging separatist forces in Jammu and Kashmir. 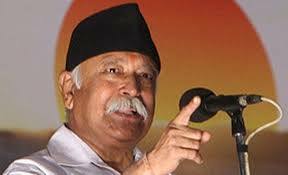 In a speech at the annual Dussehra rally in Nagpur on October 11, the headquarters of RSS, Rashtriya Swayamsewak Sangh (RSS) chief Mohan Bhagwat backed the government’s surgical strikes against Pakistan and underlined that there is a limit to tolerance. 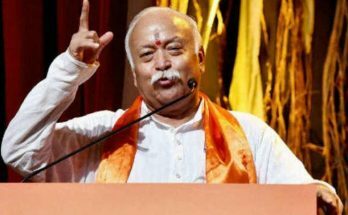 Mr Bhagwat’s remarks reinforced the ruling establishment’s growing exasperation with Islamabad which is resorting to diversionary tactics, rather than addressing India’s concerns over cross-border terrorism. Breaking his months-long silence on a slew of attacks on churches and the shimmering controversy over attempts at religious conversions by Hindu fundamentalists, India’s Prime Minister Narendra Modi has underlined that his government will not allow any religious group belonging to the majority or minority to spread hatred against any group. “My government will ensure that there is complete freedom of faith and that everyone has the undeniable right to retain or adopt the religion of his or her choice without coercion or undue influence. My government will not allow any religious group, belonging to the majority or the minority, to incite hatred against others, overtly or covertly,” he said at a function in India’s capital Delhi on February 17 to celebrate the elevation of two members of the church to sainthood.